2015 is beginning on a bright note in the US because of the convergence of three highly positive economic trends that may bode well for real estate in the coming year. The national economy is experiencing strong growth. Energy prices are falling, led by a 50% decline in the price of oil. And interest rates look to remain near historic lows, at least until midyear. 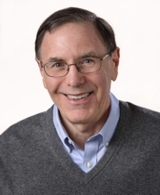 These beneficial developments should cause the Massachusetts real estate market to prosper in 2015. We may see another year of price gains at Stone Ridge in Franklin, Massachusetts! You can learn more about this well-regarded condominium community in Franklin later on in this post. 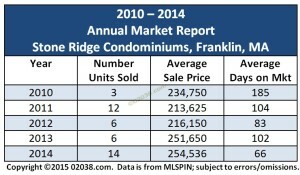 Follow the link to download the complete 2014 Stone Ridge market report. 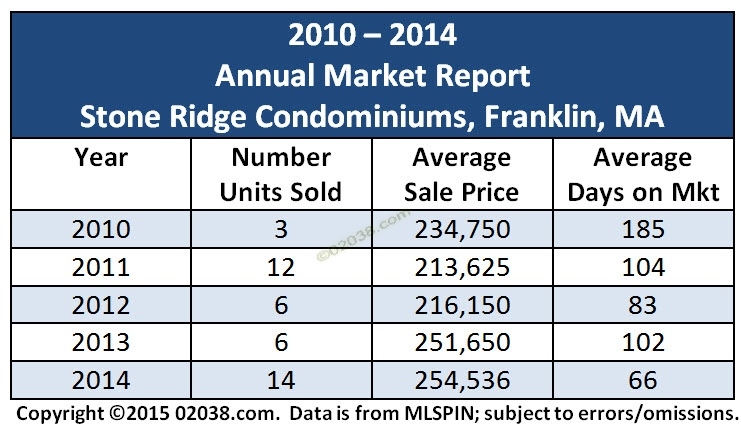 It shows all sales at Stone Ridge in 2014 with lots of photos and facts! Or you can tap (or click) the image below to access the report. Stone Ridge is one of Franklin’s foremost non-age restricted condominium communities. Anyone of any age can live in these attractive townhomes! With a highly commuter friendly location near the Forge Park commuter rail station and I-495, Stone Ridge also enjoys superb access to shopping and restaurants. It offers a nice pool facility and is near walking trails and a beautiful YMCA.